As the US Citizenship and Immigration Services’ revised fee policy came into effect on December 23, 2016, all new applications and petitions for immigrant visa, naturalization, employment authorization, permanent residency, US citizenship and non-immigrant temporary H1B visa will cost dearly. All new applications and petitions must comply with the revised fee structure starting from December 23. Otherwise, the US Citizenship and Immigration Services (USICS) reserves the right to reject all filings at its sole discretion. USCIS clearly states that they will not accept the previous fees for the filings postmarked on or after December 23, 2016. The previous fees apply only to the applications and petitions filed on any other date before December 23. It also states that a 14-day grace period will not be granted to applicants to repay fees in case of wrong fee payment. USCIS has also made it clear that benefit requests for nonpayment will not be accepted. If biometric services fees are not paid or incorrect, benefit requests will no longer be entertained. If applicable, payment of biometric services fees is compulsory at the time of filing petitions or making applications. The fee changes for immigrant as well as non-immigrant petitions and applications to USCIS include a reduced fee option for those from the low-income group, who do not qualify to avail a fee waiver for naturalization application. If an applicant’s annual household income is in the range of 150 to 200% of the Federal Poverty Guidelines at the time of filing for naturalization, he is eligible to request a reduced filing fee. Even if the applicant qualifies for the reduced fee option, the full biometric services fee is payable by him. A reduced fee must not be mistaken for a fee waiver in any case. 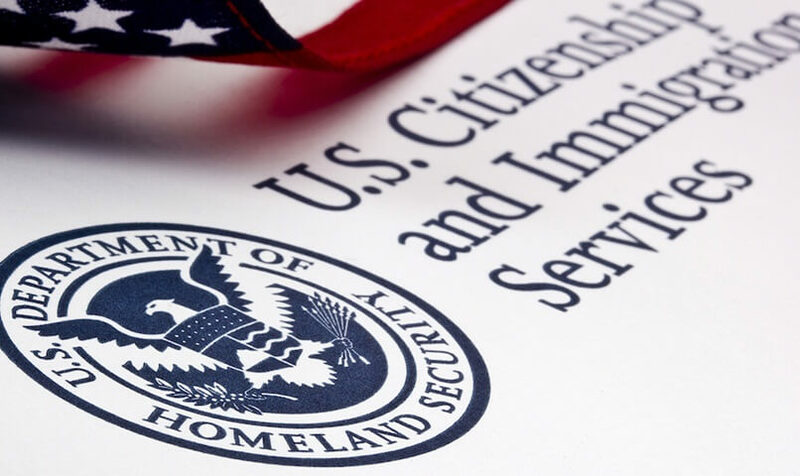 On one hand, immigration experts opine that not-so-well-off immigrants or foreign nationals will find it difficult to apply for citizenship in the United States because of the increased fees. On the other hand, it is said that the revision of the fee structure was inevitable as the fees had remained the same since November 2010. The decision to increase the fees by 21% for the first time was welcomed and appreciated by the public, according to Leon Rodriguez, the Director of the US Citizenship and Immigration Services. Immigration lawyers are of the view that the new fee policy may be a roadblock in the process of naturalization for thousands of immigrants out of millions. USCIS received over 7000, 00 applications for naturalization in last year. Approximately 7 million immigrants have got the US citizenships in the last decade. The state of New York alone has over 650, 00 immigrants who are eligible to apply for naturalization, according to the Migration Policy Institute. The US Citizenship and Immigration Services is a part of the United States Department of Homeland Security. 99% of the fund for USCIS comes from the fees payable by immigrant and non-immigrant applications and petitioners. Travel Beats is a portal for Indian Americans by IndianEagle, a leading travel partner of Indians in USA. Travel Beats publishes the latest news and stories from USA and India with regard to Indian Diaspora, air travel, young Indians, philanthropy and tourism. Would like more information on the new cost and prices for the Immigration Status information. Be advised to visit the website of US Citizenship and Immigration Services for more information. Hi Prashant! Please visit the website of US Citizenship and Immigration Services for more information and new fees.